Posted on September 20, 2013 by Joshua Prince, Esq. 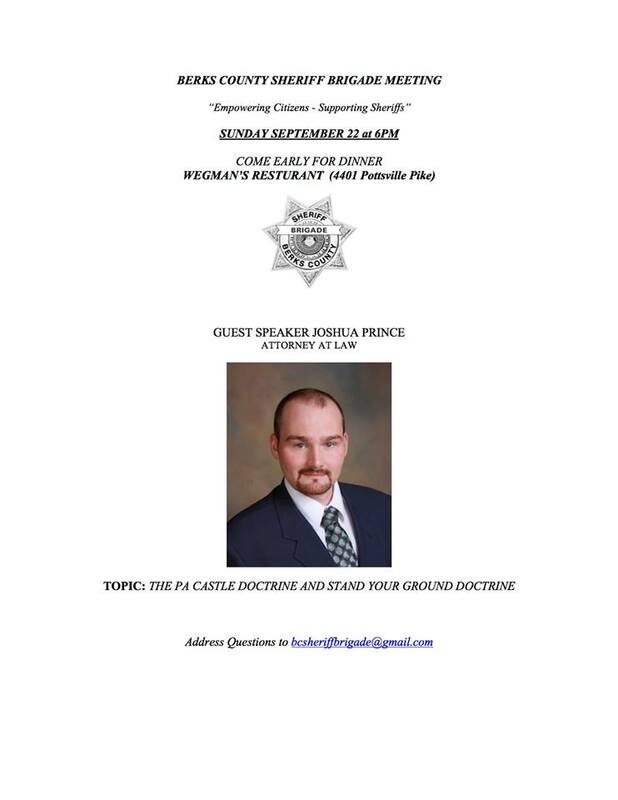 Firearms Industry Consulting Group (FICG), a division of Prince Law Offices, P.C., is proud to announce that Chief Counsel Joshua Prince will be presenting at the September 22, 2013, Berks County Sheriff’s Brigade meeting at 6pm on PA’s Castle and Stand Your Ground Doctrine. The meeting will take place at the Wegman’s Restaurant, 4401 Pottsville Pike, Reading, PA 19605. Tagged "berks county sheriff's brigade" meeting presentation "joshua prince", "stand your ground" "castle doctrine"